Experience Luxury finishes, breath taking views and outstanding recreational facilities. 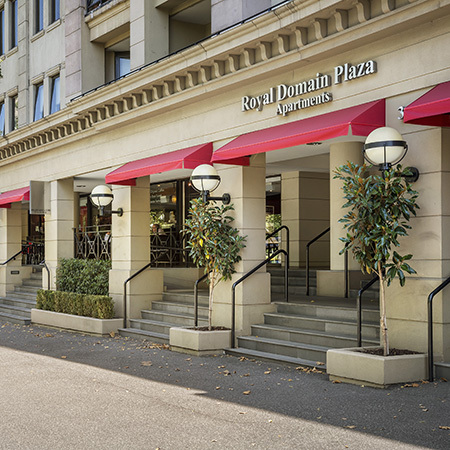 Regency Towers is one of Melbourne's most prestigious apartment buildings boasting luxury finishes, breath taking views and outstanding recreational facilities. Regency Towers is the address that you have been dreaming about. Exhibition Street is one of Melbourne's finest locations, situated in the heart of the theatre district and a short stroll from restaurants, cafes, bars and Melbourne's shopping district. Hundreds of specialty stores situated around the city are easily accessible by foot. The new QV site, conveniently located in the next block offers the first city's full-line supermarket, Big W, boutique clothing stores and cafes. Chinatown, Fitzroy and Carlton Gardens and the first new city park in 100 years, Birrarung Marr are all within easy walking distance of Regency Towers. Regency Towers Apartments offer luxury living with spectacular views by day and breathtaking views by night. Added to this is the convenience of the Melbourne Marriott Hotel's bar, café and restaurant, situated downstairs through the lobby. Melbourne Living invites you to take a virtual tour of the available properties and please contact us when you would like to inspect a property. Occasionally rare Penthouses are exclusively available through us and not advertised. We recommend that you contact us with your specific requirements so we can discuss all available properties.